One of the exciting new technologies in digital wristwatches has been the E-paper, a display technology designed to mimic the appearance of ordinary ink on paper. However, it’s application has been limited to just black and white colors even though E-Ink, the company behind the technology, has been showcasing a color prototype as recent as 2007. 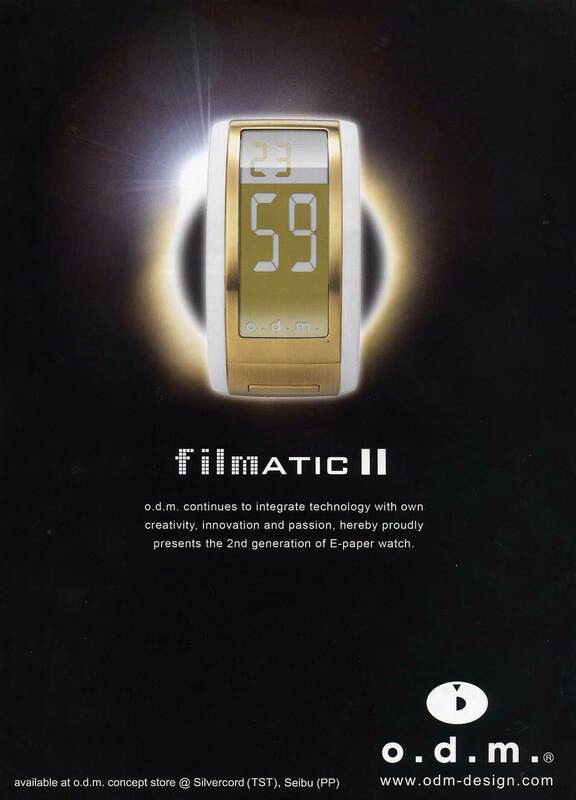 That is, until now – Hong Kong based O.D.M design just released the Filmatic II which introduces the first second generation of e-paper wristwatches. The watch still comes with just two colors but instead of the black, they’ve managed to substitute it with another color. We’ll have to wait and see when we’ll have a full color version available and whether it will give OLEDs a scare. Also some new epaper watches available from this company, like the curved digital shape and unique changeable dials.